Healthy Vegetarian Breakfast Items- What To Eat In The Morning!! Oats are really good for health as they are rich in fibers and helps to control weight gain. 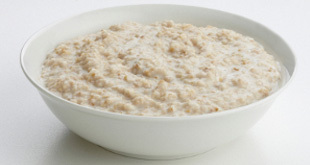 Oats porridge is good for all age persons whether they are kids or an adult. This is a quickly prepared breakfast for your busy morning. Just take some rolled or simple oats in a pan and add some milk into it and add sugar as per your taste and let them boiled for 3-4 minutes and your oats porridge is ready. If you want to skip sugar then you can use honey instead of sugar and you can also add some dry fruits to increase your taste. But if you want to give this porridge to your toddler just be sure to make powder of this oats and need not add any dry fruits just add powdered oats, milk, and sugar and offer that dish to your small baby. So when you are in hurry and have no time to prepare any breakfast just try this dish, you are really loving it. Flattened rice are called poha. Poha is full of iron and has so many calories. 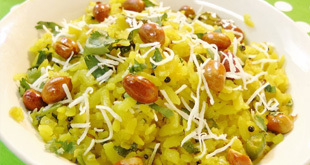 However, poha is a recipe of Maharashtra but now it is liked in all over India. it is the very light meal but we can say it is a complete meal as we can add many types of vegetables and dry fruits into it to make it make it healthier and tastier and it is really an easily prepared dish. There are many kinds of Poha are popular in Maharashtra like Batata(potato) poha, Kanda Poha (onion) etc. But You can add many vegetables instead one or two as like you can add potato, onions, tomato, peas, capsicum, carrot, beans, cabbage, cauliflower etc and you also can add peanuts and almond which is really taste good in this dish. It takes approx 20-30 minutes to prepare. so try this recipe in morning meal and feel light and healthy. Upma is another a very healthy breakfast and good for persons who want to burn their fats and eat healthy and tasty food. upma is made from the semolina(suji) which is easily available in every home. You can add vegetables into it whatever you like. It is full of calories recipe and easy to digest. you have to roast the semolina in a pan. In another pan, you have to take some oil and mustard seeds and after cracking of seeds, you have to add some chana and urad dal, roast it, add some almonds or peanuts whatever you want then add your favorite vegetables like chilies onion, potato, carrot, beans etc and add much water. when it begins to boil add roasted semolina and stir continuously. 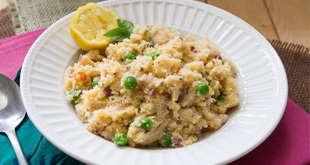 your healthy upma is ready in no time. You can prepare it not more than 20 minutes. So take this option and add it to your breakfast list. Sandwich is really an easily prepared breakfast. when no lady is at home and you are late for the office or schools just prepare the breakfast by their own. the sandwich is really a very easy and quick recipe. But you need to have some bread at home. If you are more health conscious then try the whole grain bread or brown bread. 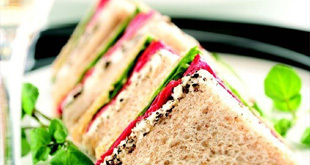 You can add any types of vegetables into your sandwiches like raw vegetables such as onion, tomatoes, cucumber etc and boiled vegetables like potatoes. you also can add cheese, butter, and mayonnaise in your sandwich which increases your taste. 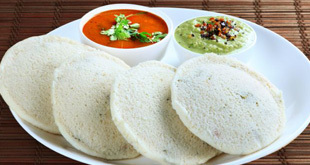 Idli is a south Indian dish which is the oil free dish and easy to digest. you can add this item to your breakfast. But the idli is made from the batter of urad dal and rice, which have to be soaked for 24 hours and then blend this mixture which takes so much time. but if you want to eat instant idli then you can try the idli made with semolina. It is also really good in taste and fat-free quick recipe. Besides semolina Idli, you can also try Oats idli which is healthier than other idlis and also take some time to prepare. so try this different types of idlis and add it to your breakfast menu. 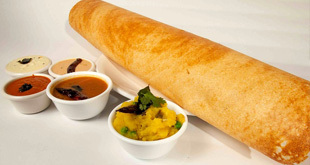 Dosa is also a south Indian dish and very popular in all over India. Dosa is also of many types.you can try rice-dal batter dosa, Rice dosa, semolina dosa, oats dosa, moong dal dosa etc. Each has their own taste and own health benefits. you can make it by using very less amount of oil in non-stick Tawa. It tastes is really mouth watering and if you have some extra time in the morning then you can try this recipe with nariyal chutney, sambhar or peanut chutney whatever you like. 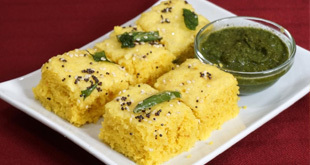 Dhokla is s Gujarati dish and doesn’t require any oil and fat to prepare it. it is easy to make and its taste is really good. As we are very well aware that steamed product is healthier than other oily dishes. This dish is made by easily available food items like besan (gram flour). So try it in the morning and serve healthy and tasty breakfast to your family. Wheat porridge is really good for health as it is rich in fibers and minerals. 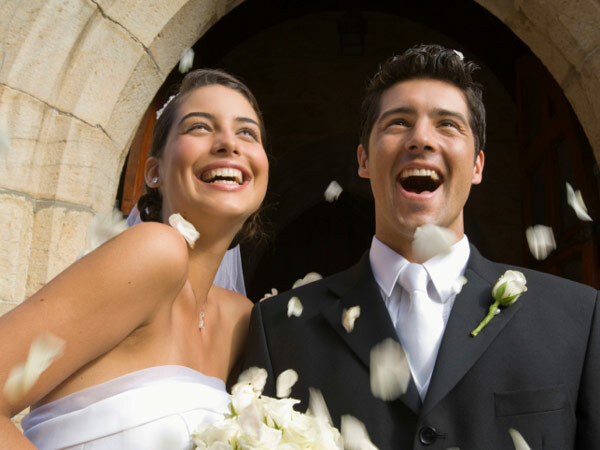 It provides our body calories in much quantity. 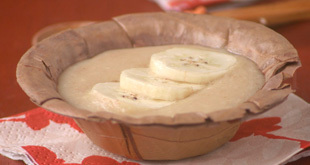 This recipe is good for all age persons and it is also recommended to the patients and the person who have some normal health problems, as it is a very light and oil free food. You can make this porridge sweet with milk and also it makes salty by adding some vegetables into it. Both tastes really amazing and health effective. Don’t forget to add this meal to your breakfast menu. Sprouts are very rich in minerals, proteins, antioxidants and vitamins. We can include sprouts in our breakfast as well as evening snacks also whatever you like. but it has so much health benefits that you should eat it as a morning breakfast as it helps to keep away all the toxins from the body and keep your body energetic. 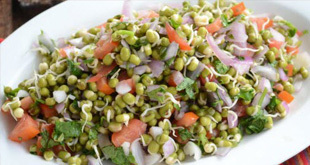 Many pulses can be used as a sprouts, but mostly Green gram (sabut moong dal) and black gram (Kala chana) are used for sprouts . You can add some vegetables like onion, tomatoes , boiled potatoes, cucumber, lemon juice etc to increase its taste. vermicelli is made from semolina which is good for health. 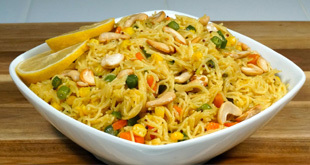 Vermicelli can be eaten with milk and dry fruit as a sweet meal and if you don’t like sweet things then try vermicelli with vegetables and spices. This recipe is called namkeen Sevaiyan. You can make it by using very less oil and added many vegetables into it. It is really a very tasty dish and easy to prepare at morning. So this above said morning breakfast dishes which is made by using very less oil or by steaming. All the dishes are very good for health. it is quite good for children as well as adults. If you have very less time to prepare morning breakfast and you are fed up with eating oily paranthas every day try this awesome dishes at home and feeling healthy, fat-free and light at the whole day.